You are here: Home / Blog / Do your kids have too many toys? *This is a sponsored post from Pley and contains affiliate links. 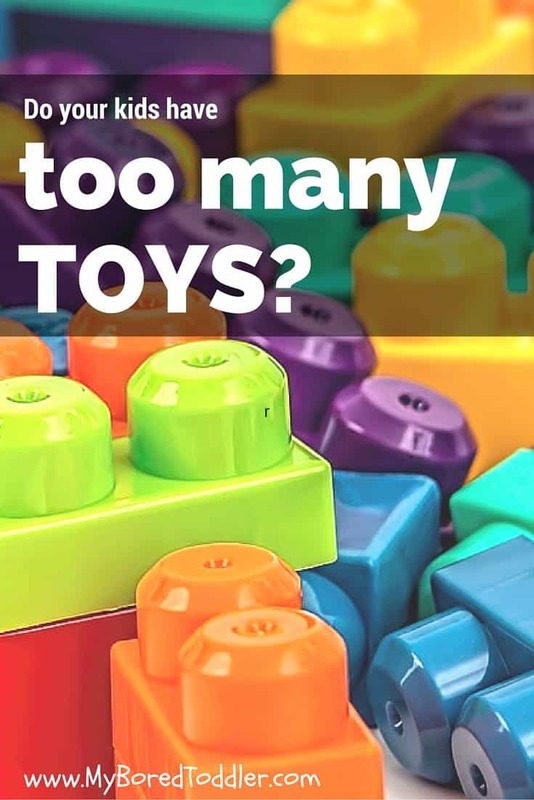 Is your house overflowing with toys? Mine is! We have a small place and it seems that despite having lots of toys I’m always hearing “I’m bored!” I used to think that buying more toys was the answer to this, but quickly realized that this didn’t really solve the problem. Then I discovered that the average toy spend, per child, per year is $1000! That’s each child! I’d love to think that that figure didn’t apply to me, but in reality I’m sure it does. One of the biggest reason kids get bored with their toys is because they have constant access to them. Simply by splitting up the toys into big boxes and rotating which toys they can play with, you will find that they are suddenly interested in them again. Try to aim to swap the toys every week. If you have friends or family with similar aged children, try to organize to swap toys for a few weeks. The chances are that their kids are bored with their toys as well and some fresh new toys will be great for both families. If you are lucky enough to have a toy library near you this is always a good option. I’ve never lived close enough to one to make it convenient, but it can be a great free or low cost option. This is an idea that I wish I had know about when my oldest child was born. It would have saved me a lot of money and given me a lot more room in my house! There is a great company called Pley who allow you to rent toys. Such a great idea and so simple. You login, select the toys you want to receive and one is delivered to you. Once your child has finished playing with it you post it pack (they even provide a pre paid bag) and a new toy arrives. It’s like Netflix for kids! *This post was sponsored by Pley, however all opinions are my own. Great suggestions and renting is such a great concept. We love Pley at our house! What a great idea Debbie. I think I’ll have to try and organise one of those. These are really great ideas. Kids these days have way too many toys.